This is a very fresh look. 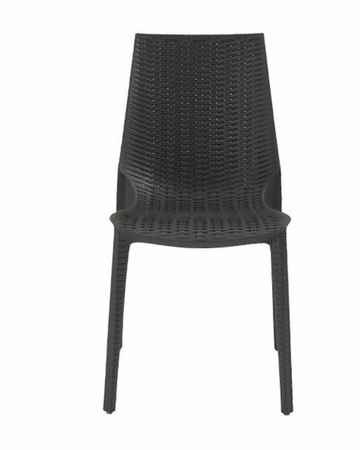 It's fiberglass-reinforced polypropylene made in a woven pattern which gives these chairs a natural and more organic look. It's not a pattern stamped or molded on a solid surface; it has the actual airiness and style of real woven material. Anthracite or Linen.